If you were to sum up the movies of Charlie Kaufman in a single picture, the image of an existentially-plagued middle-aged man looking into the mirror at his own somber soul might be the winner, which makes the striking new poster for “Anomalisa” a beautiful and melancholy snapshot for the feature. Featuring the voices of David Thewlis, Jennifer Jason Leigh and Tom Noonan, “Anomalisa” explores a single confounding night in the life of motivational speaker Michael Stone (Thewlis). Although he is bored and unfulfilled by his marriage and job, Stone’s mental anguish is fueled predominantly by the fact that he hears every person with the same voice (Noonan). Enter Lisa (Leigh), a shy, charming and uniquely-voiced woman who changes Stone’s life during an overnight stop at a hotel in Cincinnati. 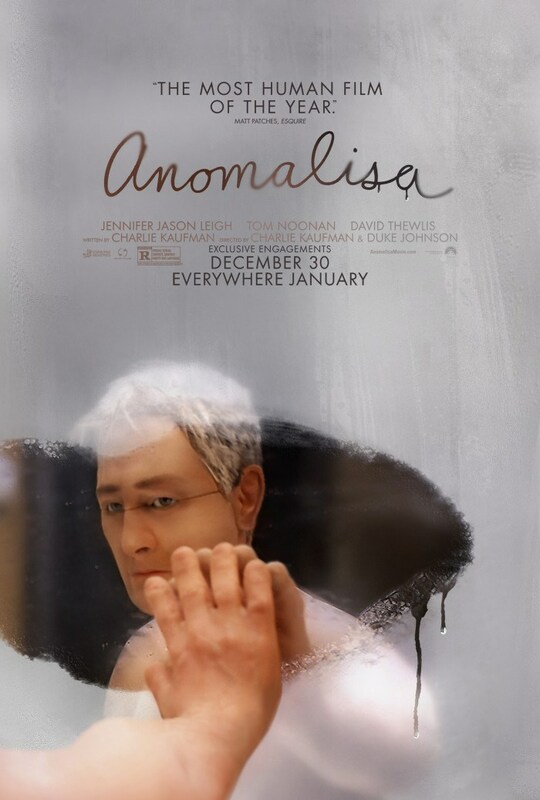 “Anomalisa” will have an awards-qualifying run on December 30 before opening nationwide in January. Check out the poster below.